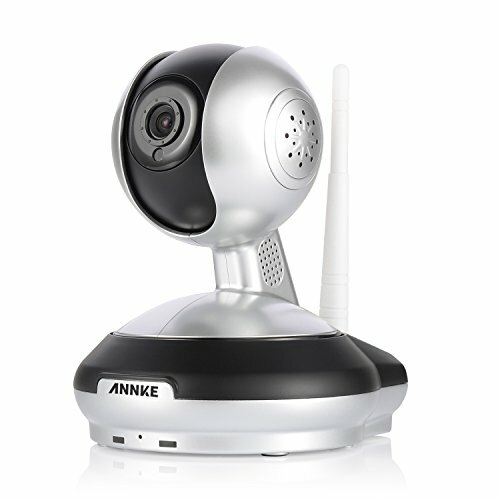 ANNKE New 720p intelligent wireless security cameraANNKE I21BJ IP CameraAre the kids home from school? Did I left the door open? Is the dog casting its covetous eyes on the muffins you made last night? Just open the app on your phone and check in on things you care most wherever you are. 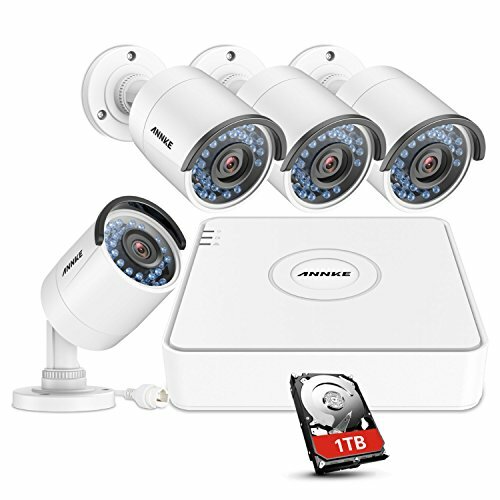 Featuring wire-free installation, motion detection alarm, smooth pan and tilt, SD card storage, night vision and more, this gadget is the smart security camera you’ve been looking for.Smooth Pan and Tilt350-degree pan and 100-degree tilt allow you to keep most places in your home or office under monitoring and leave less blind spot. Spin the camera head remotely via your phone and see wherever you want to see.Camera Specifications:* Display resolution:1280*720 (1MP)* Lens: 3.6mm* Visual angle:H:60.5°; V:37°; D:72°* Minimum illumination:0.01Lux* Input/output:Built-in microphone and speaker* Lighting frequency:50Hz, 60Hz* Image adjustment:Brightness, Contrast, Saturation, Sharpness* Night vision 6, IR distance: 10meters* Wireless networks:2.4G WIFI(IEEE802.11b/g/n),Built in PCB board 2DB antenna* Ethernet:10/100Mbps* Protocols:TCP/IP、UDP/IP、HTTP、DHCP、RTMP、MUTP* IP address:Static IP address and dynamic IP address* Network interface: RJ45* Work temperature: -10°~ 55°C (14°F ~ 131°F)Smart App Push AlarmReceive instant alarm push notifications on your phone when unexpected movements are detected by the camera. Smart motion-triggered alarm function keeps you in-the-know no matter you’re at home or away.Online Firmware UpgradeIt automatically detects the newest firmware, so that you can upgrade it on your smart phone according to your preference. 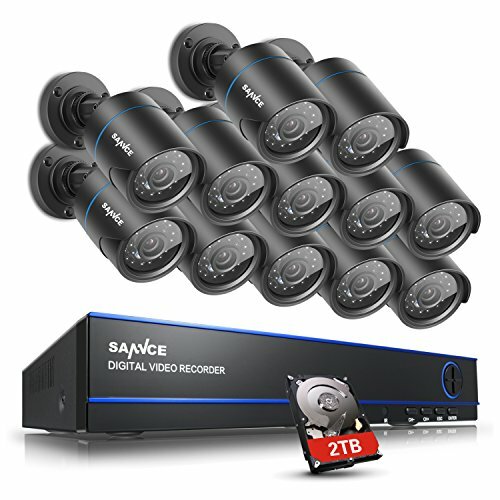 As long as your device is network accessible, your firmware is always up-to-date.Hassle-Free Wi-Fi SetupNo complicated wiring, no computer needed. Plug in the power adapter and finish the settings in minutes with ease. 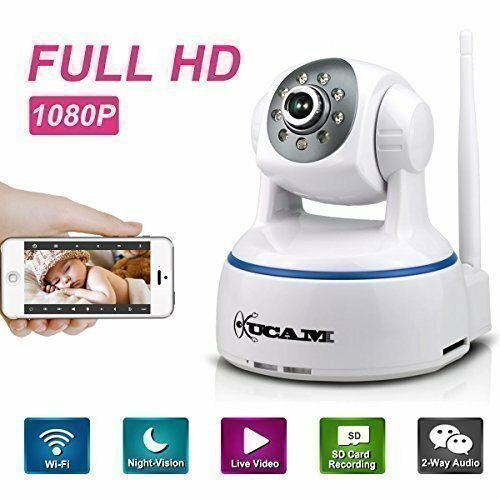 This plug and play camera is designed for effortless home and business surveillance.Two-Way AudioTalk to your kids and pets while you’re watching them. The built-in microphone and speaker are made for clear two-way audio. Be there like you never left even you’re thousands of miles away. 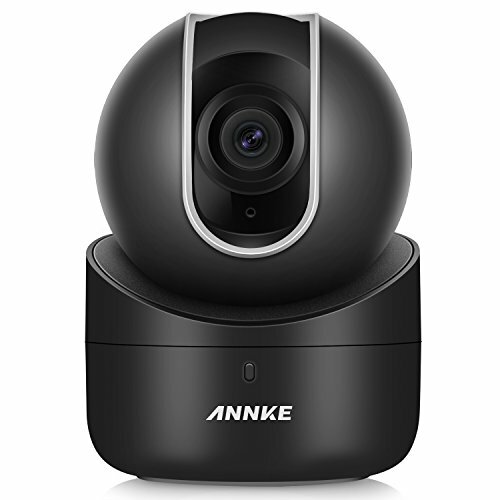 ANNKE 720P Smart Wireless PT Camera-whiteBeing able to generate 720P clear and crisp footage and be easily mountedanywhere, this smart wireless camera is ideal for home and business video surveillance. 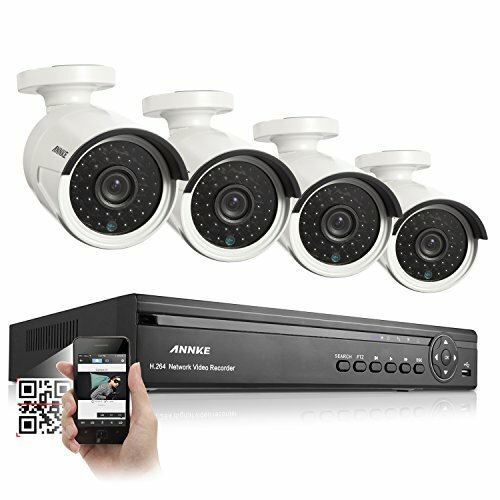 Get it hooked up to your mobile devices to enjoy real-time monitoring video of things and people that matters most to you.Three-Step Wi-Fi Setup1.Getthe Annke Vision*app and install it on your phone;2.Connect Your Camera to the viewing APP;3.Enjoy live monitoring video anytime anywhere. 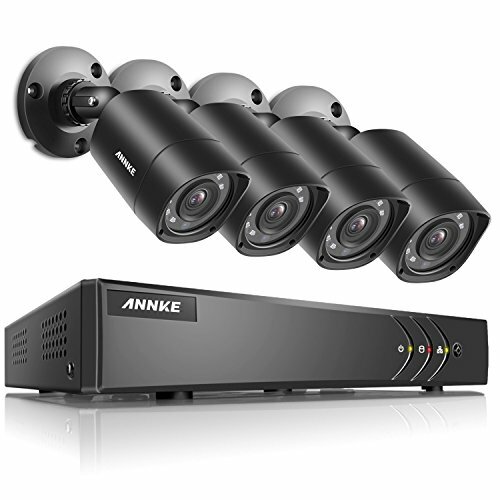 * You can search “Annke Vision” on Google Play or APP Store to get the app. Camera Specifications:* Image Sensor: 1/4" Progressive Scan CMOS* Min. Illumination: 0.028Lux @ (F2.0, AGC ON), 0 Lux with IR * Lens: 2.8mm@ F1.2, Angle of view: 92°* Day & Night: IR cut filter with auto switch* Digital WDR, 3D DNR * Max. 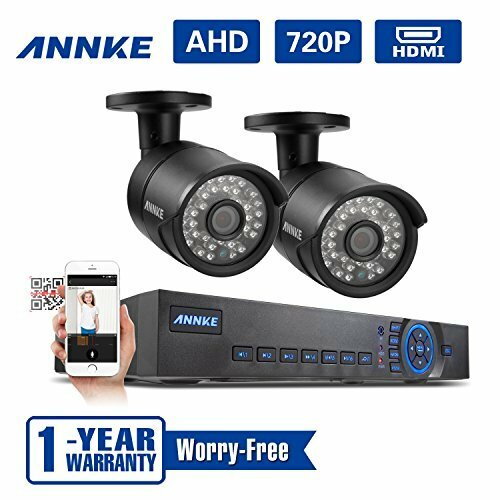 Resolution: 1280x720* Pan& Tilt Control: Pan: 0° - 355°, Tilt: -20° - 90°* Video Compression: H.264/MJPEG* Audio Input/Output: Two-way audio (built-in microphone and speaker)* On-board Storage: Built-in Micro SD/SDHC/SDXC card slot, up to 128 GB * Wireless network: Wi-Fi(IEEE802.11b/g/n)* Network Standard: ONVIF (PROFILE S, PROFILE G), PSIA, CGI, ISAPI* Power Supply: 5V DC±10%* Power Consumption: Max. 7.5W* IR Range: Approx. 10 meters* Dimensions: 113×82×82mm (4.45” × 3.23”)Check in on Everything from AnywhereEasy Remote AccessWe provide both mobile and desktop apps for hassle-free remote access on smartphone, tablet and computer that you’re allowed to watch live footage when you are not able to be there in person. Stream life video to your phone, record and play back the footage no matter you are in the next room or soaking up the sun on the beach of Florida.Smart Email AlertIntelligent motion detection-activated email alert function allows you to be always in-the-know.All the unexpected movements thrown into the cameras vision will be captured. 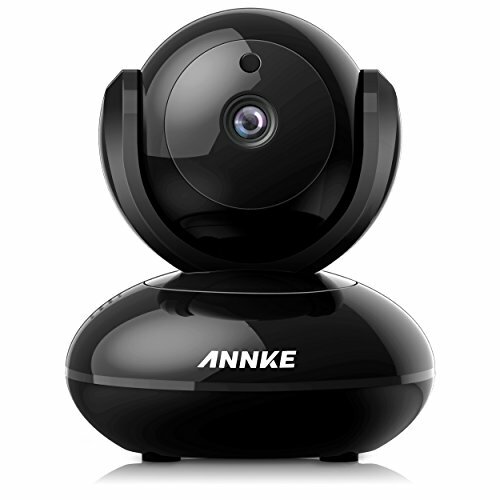 In the meantime, you will receivean instant alarming email, so effective measures can be taken before it is too late.Smooth Pan&TiltFeaturing impressive pan& tilt function, you can move your digital eyes around the room 0~355 degrees horizontally and-20~90 degrees vertically. Nothing will ever make it pass even if it tried.Two-Way AudioTalk to your kids and pets while you’re watching them. The built-in microphone and speaker are made for clear two-way audio. Be there like you never left even you’re thousands of miles away.What's included? 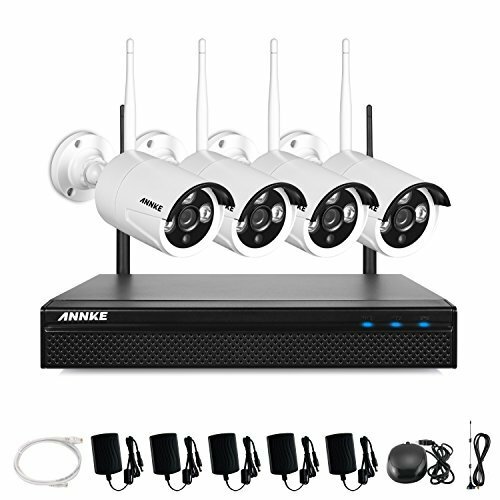 * 1×720P Wireless IP Cameras * 1×Stand * 1×Power Adapter * 1×Quick Start Guide * 1×Ethernet Cable * 1×CD SoftwareDay and NightKeep burglars at bay with those reliable infrared eyes. 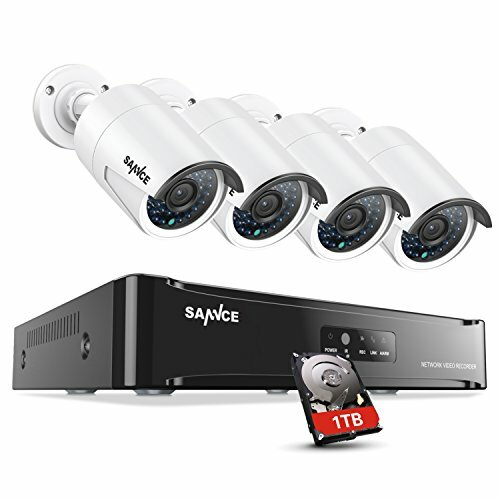 This camera is engineered with premium LEDs to produce up to 10m/32ft black and white night vision when the light illumination is low.